"The Red Army broke the powerful enemy defences on the Karelian Isthmus, and also between Lakes Ladoga and Onega, and knocked Finland out of the Hitlerite robber bloc." After the October Revolution, Soviet Russia has lost a number of territories formerly belonging to the Russian Empire. 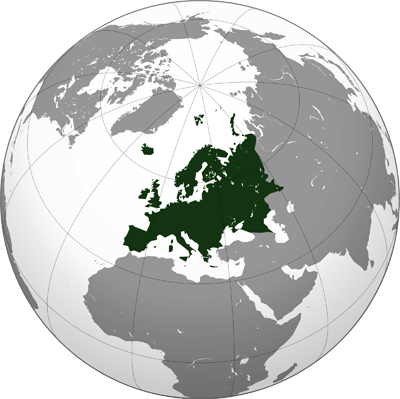 One of these areas was Finland, which belonged to Russia in 1809-1917. The Finnish border was 33 miles from Petrograd, that in 1918 became one of the reasons for moving the Soviet government to Moscow. 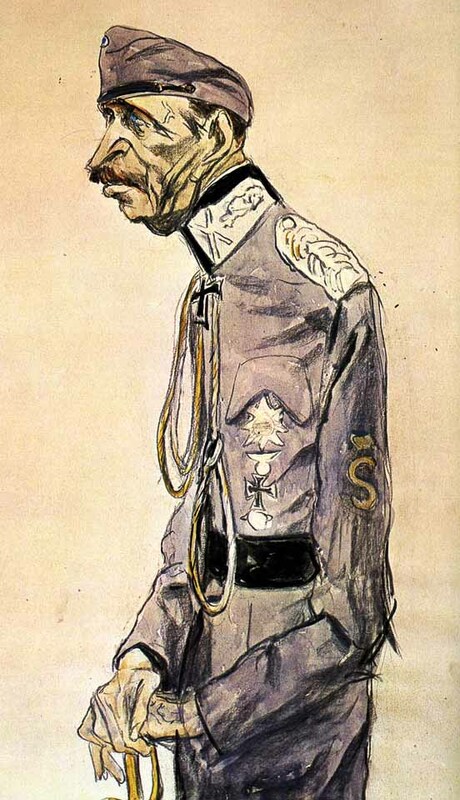 Despite the fact that the independence of the Finns gave Lenin personally, Finland attitude towards our country was hostile to the entire interwar period, and on 15 May 1918 to 14 October 1920 between us and the Finns were fighting even during the so-called First Russo-Finnish War. This war ended October 14, 1920 signing of the Treaty of Tartu, recorded a number of territorial concessions on the part of Soviet Russia - an independent Western Karelia Finland got to the river's sister, Pechenga area in the Arctic, the western part of the peninsula Fishermen and most of the Middle Peninsula. 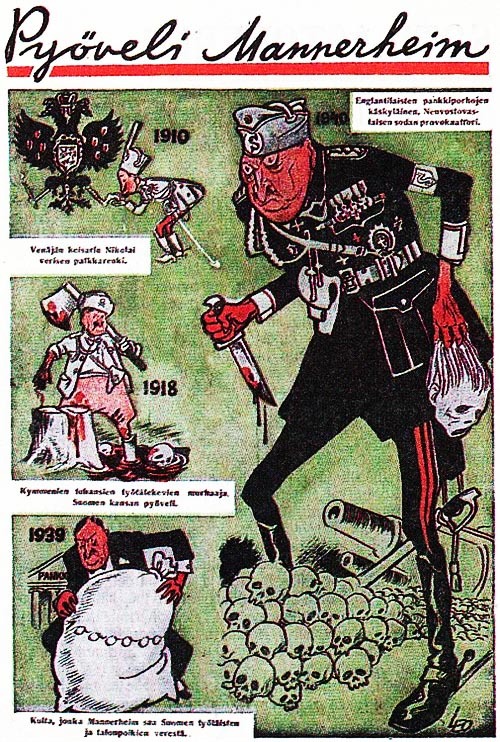 November 6, 1921, the Second Soviet-Finnish war. Fighting ended March 21, 1922 in Moscow the signing of the Agreement between the Governments of the Russian Federation and Finland to take measures to ensure the integrity of the Soviet-Finnish border. However, the Soviet-Finnish relations after that is not improved. 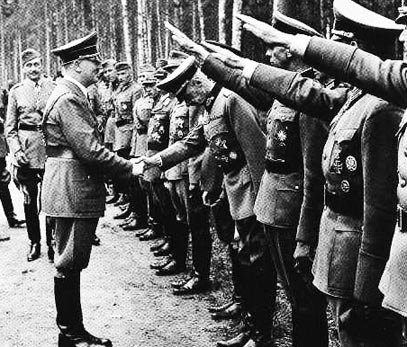 Even when in 1932 we entered into the Finnish non-aggression pact, the term of the pact at the insistence of the Finnish side has been identified in all three years. 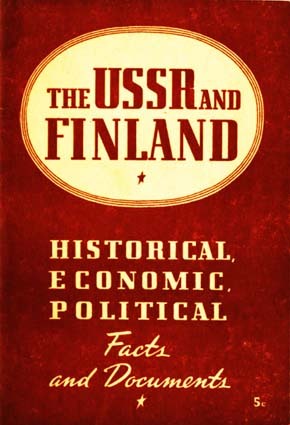 The fact that Finland was going under favorable conditions, certainly at war with the Soviet Union, and proved statements of the then Finnish officials. So Finnish Foreign Minister Tanner in his letter to the Prime Minister of Sweden Hansson wrote: "In the past, when we thought about the possibility of engaging in war with the Soviet Union, we have always believed that it would happen in other circumstances - that Russia will fight somewhere else »(Tanner V. The Winter War. Finland against Russia. 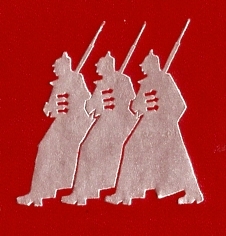 1939 - 1940. Stanford (Cal.). 1957, p. 46). And these their intentions Finland did not hide. "No country in the press does not lead such a campaign systematically hostile to us, both in Finland. 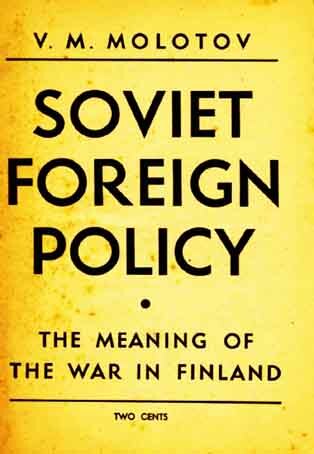 Not a single country is not conducted such an open campaign for the attack on the USSR, both in Finland "(Documents of Soviet foreign policy. M. 18. M., 1973, p. 143). 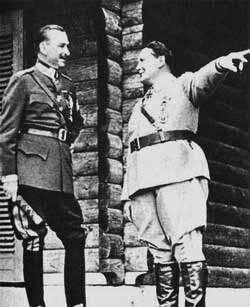 When in 1939 the Second World War, the Soviet leadership was already clear that Finland would oppose the Soviet Union no matter with whom he fought. October 12-14, November 3-4, and 9 November. Finland was the first time a messenger, State Councilor of JK Paasikivi, Finland's Ambassador in Moscow Aarno Koskinen, an official of the Ministry of Foreign Affairs and Colonel Johan Nyukopp Aladar Paasonen. In the second and third trip authorized to negotiate along with Paasikivi was Finance Minister Tanner. The third trip was added state adviser R. Hakkarainen. In these negotiations, the first time it comes close to the border of Leningrad. Stalin said: "We can not do anything with the geography, the same as you ... Because you can not move Leningrad, will have to move away from him abroad." USSR proposed exchange of territories in which Finland would receive more extensive Soviet-Finnish War - kartaterritorii in Eastern Karelia in Rebollo and Porayarvi. These were areas that declared independence and tried to join in Finland in 1918-1920, but the Tartu Peace Treaty left for Soviet Russia. USSR unveiled their demands to the third meeting in Moscow. Conclude with the Soviet non-aggression pact Germany advised them to accept. Hermann Goering made it clear to the Minister for Foreign Affairs of Finland Erkki that the requirements of the military bases have to be taken, and to help Germany's hope not worth it. The Council of State did not go to that all the requirements of the USSR, as public opinion and parliament were against. The Soviet Union were proposed concession Suursaari Islands Lavensari , Big and Small Tyuters Tyuters, Penisaari Seskar and Koivisto - a chain of islands that stretches along the main shipping channel in the Gulf of Finland and coming to Leningrad territory Terioki and Kuokkala (now Zelenogorsk Repin), incised in Soviet territory. Moscow talks ceased November 9, 1939. Earlier, a similar proposal was made by the Baltic countries, and they agreed to give the USSR military bases on its territory. Finland has chosen another: October 10, from the reserve soldiers were called for incidental teaching, which meant full mobilization. Since mid-1939, the Soviet Union began preparations for war. In June and July on the Supreme Military Council of the USSR discussed the operational plan of attack on Finland, and from mid-September begins the concentration of parts of the Leningrad Military District along the border. 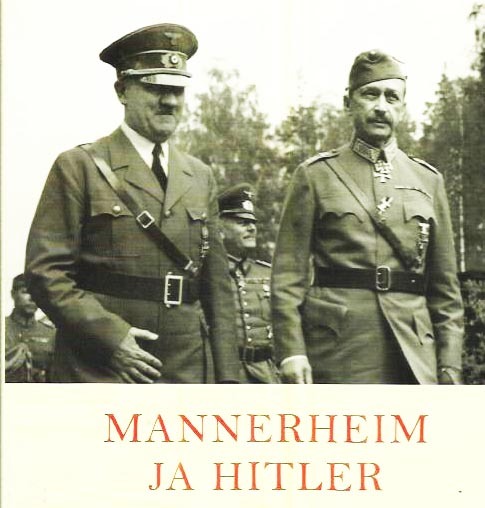 In Finland, the Mannerheim Line being completed. More August 7-12 on the Karelian Isthmus were conducted large-scale military exercises, which worked through the reflection of the attack by the Soviet Union. Were invited to all military attaches, but the Soviet. Declaring the principles of neutrality, the Finnish government has refused to accept the Soviet conditions, since, in their view, these conditions are far beyond the issues of security of Leningrad, in turn, trying to get the Soviet-Finnish trade agreement and consent of the USSR adopted the Aland Islands, the demilitarization of which regulated Åland convention in 1921. 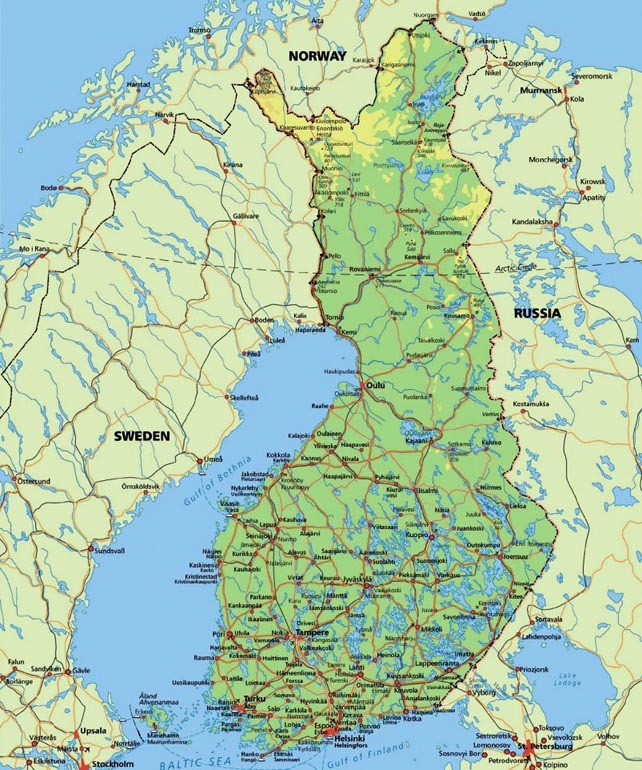 In addition, the Finns did not want to give the Soviet Union its only protection against possible Soviet aggression - a strip of fortifications on the Karelian Isthmus, known as the Mannerheim Line. Finns insisted on his own, although 23-24 October Stalin softened position on the territory of the Karelian Isthmus and the number of alleged garrison Hanko Peninsula. But these proposals were rejected. "Do you want to provoke a conflict?" - Outraged Molotov. 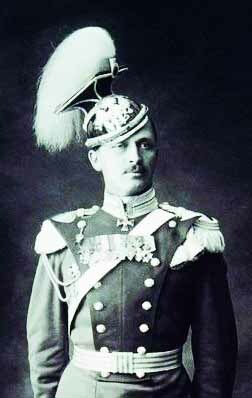 Mannerheim supported by Paasikivi insisted before his Parliament about the need to find a compromise, saying that the army will last in defense of not more than two weeks, but to no avail. October 31, speaking at a session of the Supreme Soviet, Molotov outlined the essence of the Soviet proposals, thus hinting that the hard line taken by the Finnish side, due to the intervention of the state. 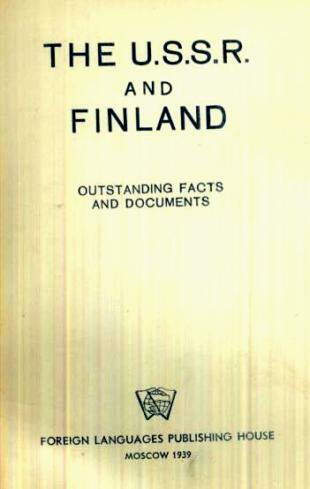 Finnish public first learned about the requirements of the Soviet side, strongly opposed any concessions. Resumed in Moscow on November 3 talks immediately stalled. 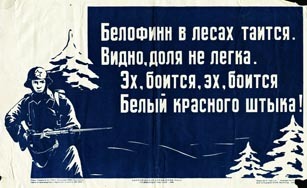 On the Soviet side, followed by a statement: "We, the civilians, have made no progress. Now, the word will be given to the soldiers. " However, Stalin once again went to make concessions on the next day, instead of offering lease the Hanko Peninsula to buy it or rent it instead of some offshore islands in Finland. Tanner, who was then the Minister of Finance and was a member of the Finnish delegation also believed that these proposals open the way to achieve an agreement. But the government of Finland stood on his. "We shall reject all to hell game of political gamblers and go their own way, no matter what, we will ensure the security of the Soviet Union, not looking at anything, breaking any and all obstacles to the goal ". In the same day, troops of the Leningrad military District and the Baltic Fleet received a directive on preparing military action against Finland. The official reason was the beginning of the operation to the Shelling of Mainila: November 26, 1939 on the border near the village of Mainila group of Soviet troops had fired artillery. Was done seven gun shots, resulting in three privates were killed and one junior commander and injuring seven privates and two of the officers. November 28 was announced denunciation of the Treaty of Non-Aggression with Finland, November 30 Soviet troops were ordered to go on the offensive. The first time our troops were successful, but when we rested in the Mannerheim Line, the Soviet offensive stopped. 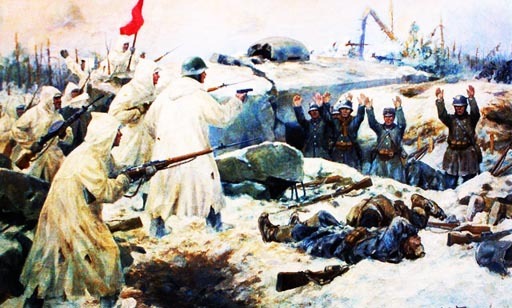 December 26, Soviet troops went on the defensive. Military Council of advancing on the Karelian Isthmus 7th Army led by Meretskov sent Command Headquarters report, which says that without destroying the main enemy pillboxes and measures razgrazhdeniya engineering approaches to the Finnish positions can not be a successful offensive. Secondary attack, rendered impassable areas in the north of Lake Ladoga, ended in complete failure. Two Soviet divisions were surrounded and remained there until the end of the war. 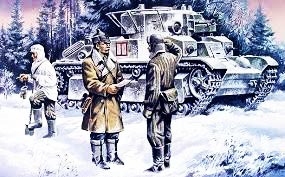 Finnish forces in the Winter War military operation nevertheless continued. 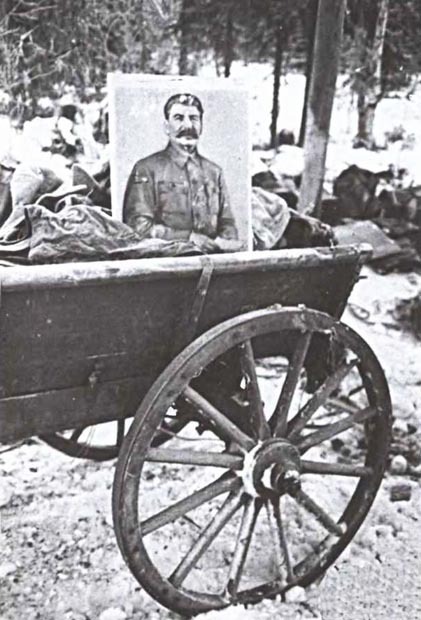 The Red Army quickly adapted to the conditions of the winter offensive, sometimes learning to fight with your enemy. So, faced with the massive use of Finnish Suomi submachine guns, we returned to the arms submachine gun PPD, but instead Budenovka was introduced earflaps, tailored to the Finnish model. In the middle of winter on the battlefields came tanks KV-1 and KV-2, to whom could not resist any bunkers or pillboxes and who were not afraid, nor the German anti-tank guns Pz.B-39 or anti-tank guns. 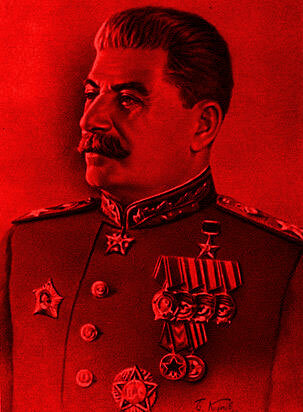 February 11, after a ten-day artillery bombardment began the general offensive of the Red Army. The main efforts were concentrated on the Karelian Isthmus. In this occurrence, together with the land part of the North-Western Front operated ships of the Baltic Fleet and was established in October 1939, the Ladoga Flotilla. Since the attacks of Soviet troops to the area sum not successful, the main attack was moved to the east, in the direction of Lyahde. At this point, the defending side suffered huge losses from artillery bombardment and Soviet troops managed to break through defenses. During the three days of intense fighting, the troops of the 7th Army broke through the first line of defense of the Mannerheim Line, introduced in a breakthrough tank formations, which have begun to develop success. By February 17 of the Finnish army was allotted to the second line of defense, since it creates a threat to the environment. By the end of February Soviet troops reached the Finnish rear defensive positions near Vyborg. But as soon as one is only the 70th Infantry Division, the division commander Mikhail Kirponos get around on the ice of the Gulf of Vyborg fortified garrison immediately surrendered, and the Finnish government two days later flew to Moscow to ask for a truce. And if we did not know that was going to sail to Narvik Anglo-French expeditionary force to join with us in the war on the side of the Finns, damn bald we signed a cease-fire. 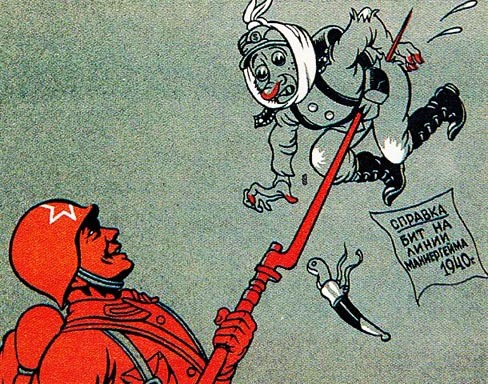 Shortly after the defeat of Finland "Pravda" May 5, 1940 wrote: "The real war we won and lost the propaganda." Bauern und Proleten hatten keine Wahl, ob sie wollten oder nicht. mussten kämpfen bis zum Sieg. Was Springer Konzern schreibt- die sind doch nicht ganz dicht.